Located in historic Bunnell, Florida, just minutes away from everything! Royal Palms (formerly Thunder Gulch Campground) was constructed in 2001 on a piece of property that fronts on the US1 loop, with exit 289 to the north and exit 284 to the south. It is close to two cities, quaint and historic Bunnell, just 2 miles away and Palm Coast with its major shopping, restaurants and city services just 3 miles away. 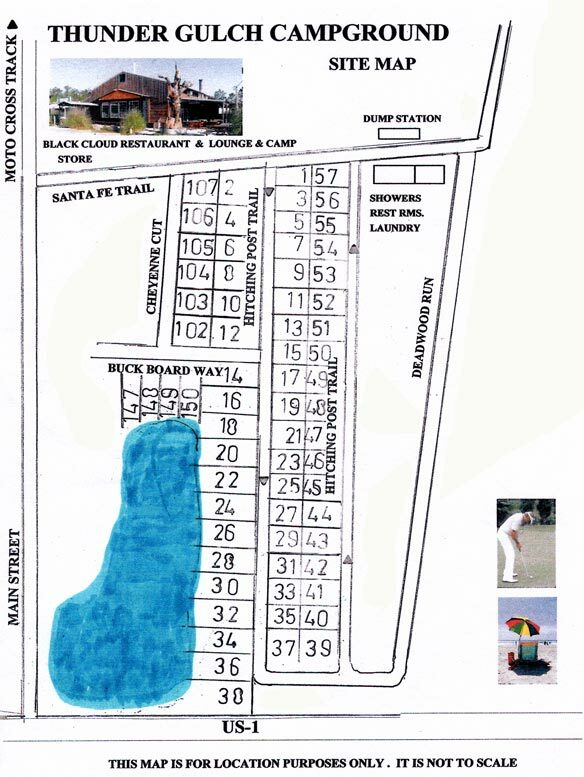 Royal Palms contains 70 full service sites and an abundant primitive and tent camping area. In 2003 The Black Cloud Restaurant and Lounge was constructed. It is not only the center of campground activities but has become an area mecca for good food and nightly entertainment. Renegades is located on the beautiful St. Johns River. We have 37 RV sites with 30 50 amp service and full hookups. We also offer five 1 bedroom cabins that sleep up to 6, three 2 bedroom cabins that sleep up to 10, boat slips and ramp, bait shop, tiki bar, a steak and seafood restaurant, laundry, clubhouse, swimming pool, boat and golf cart rentals. Clean shower facilities and free Wi-Fi/cable.